I wasn’t born a Catholic, but I may as well have been. I was baptised into the faith of my father (and mother) and have grown up with the institution that is Roman Catholicism. I’ve had my lapses. I’ve had my doubts. And I have points on papal doctrine with which I simply don’t agree. I remind myself constantly that the RC church is a man-made institution, made by men and moulded to their liking. When I was at school, the exploration of other religions was not discouraged – it was simply never mooted as a possibility. And back then, apart from the occasional Protestant (he who kicked with the left foot), my interaction with other faiths was minimal to the point of being non-existent. My fascination with the Holocaust began when I read the Diary of Anne Frank. It was there that I first came across the Star of David. I bought one for my travel bracelet when I was in Budapest back in 2003. And I felt quite guilty wearing it for a while – as I’m not Jewish and have no inclination to join that faith, I questioned my entitlement to wear one. I wondered, too, if non-Christians suffered similar angst when deciding whether or not to wear a cross and chain. And then I figured that in this day and age, where brand logos trump most iconic religious symbols, mine might be one of a minority of minds through which this thought has passed. 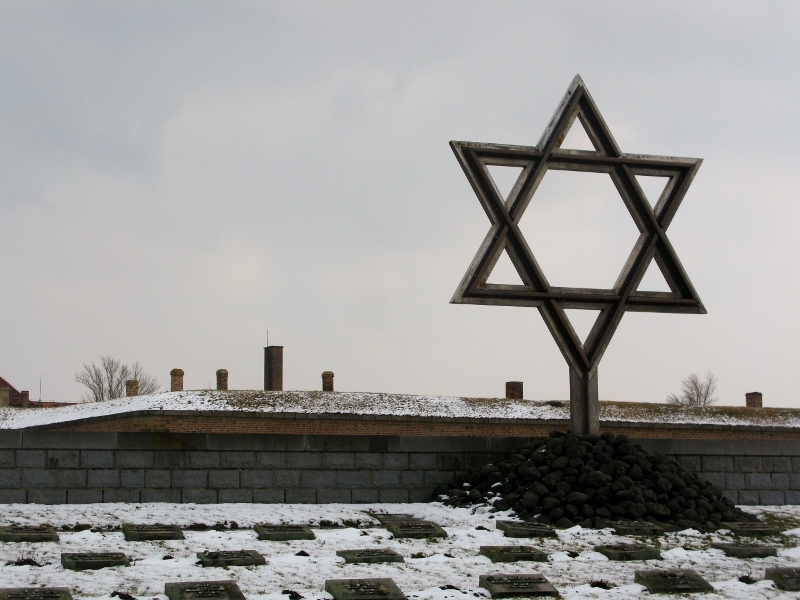 In Terezín last week, seeing the Star of David standing in the shadow of a large cross gave me pause for thought. The Star of David had context. It stood as if an angel, guarding the 2386 graves of the National Cemetery. Thousands more are buried in mass graves; all in all, the remains of some 10 000 people lie there. When I went to find out why these two symbols might be practically cohabiting, I discovered that the cemetery was created after the War had ended. 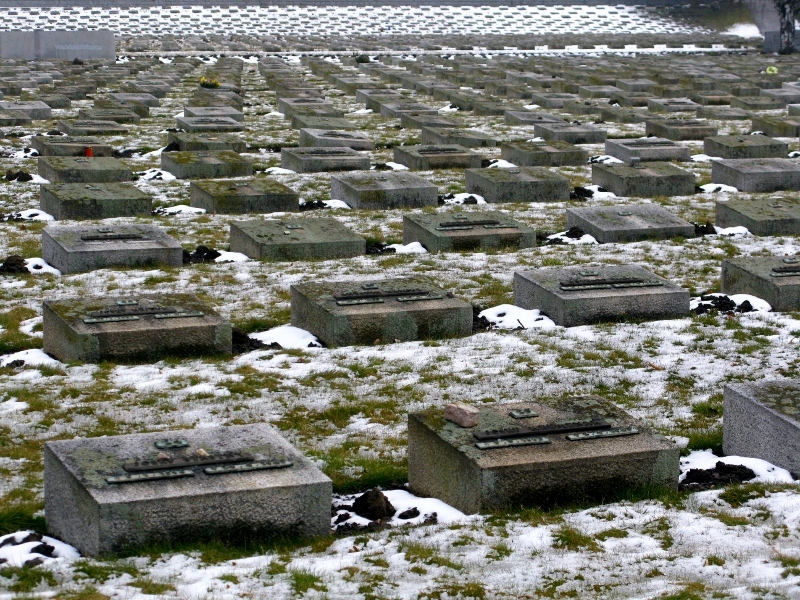 Victims exhumed from other graves were moved there: from mass graves at the forced labour camp at Litoměřice; from shared graves in Lovosice, from the communal cemetery in Terezín. Victims of a typhoid epidemic were also included. Some of the stones were marked with names, numbers, and lifespans; others had simply numbers. Row after row after row of them, each one a stark reminder of the inevitability of death and the randomness of its call. 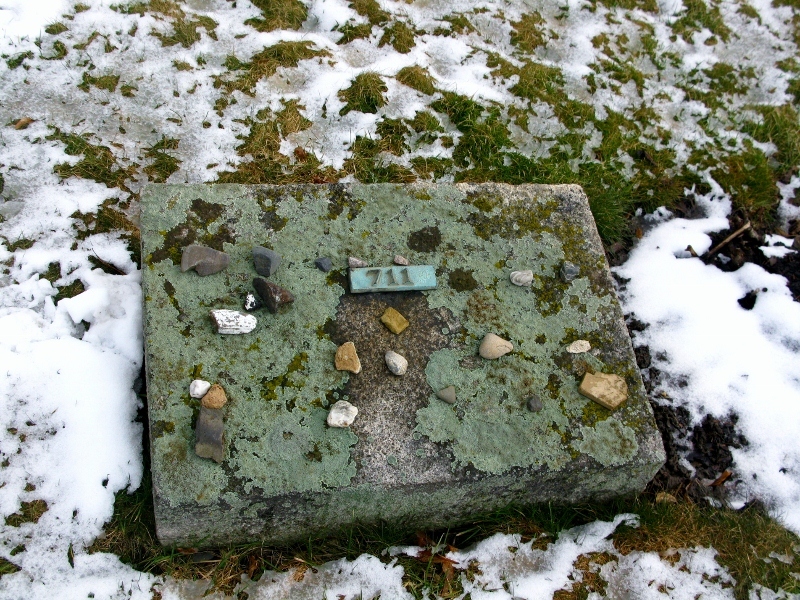 As if the town’s dead hadn’t suffered enough, in mid-April 2008, 327 bronze markers were stolen from the Jewish cemetery in Terezín; 700 more were stolen the next week. My first reaction when I read this: what depths people sink to. My second: what ends people are driven to. It’s all a matter of perception. I was born in October 1938, and was brought up by two loving parents in a Suburban area of north Kent, some 13 miles from the center of London. I understand that our house suffered bomb damage on two occassions and have a vague memory of being evacuted, with my Mother, to a remote farm in North Devon. My father was away from home from D day untill some time after the end of hostilities. I had an extremely happy childhood, a state I later appreciated was more fortunate, than for several years I had realised. I have never visited the places so eloquently and sensitively described by Mary, where untold numbers of people were brutally murdered by one of the most inhuman regimes the world had known. 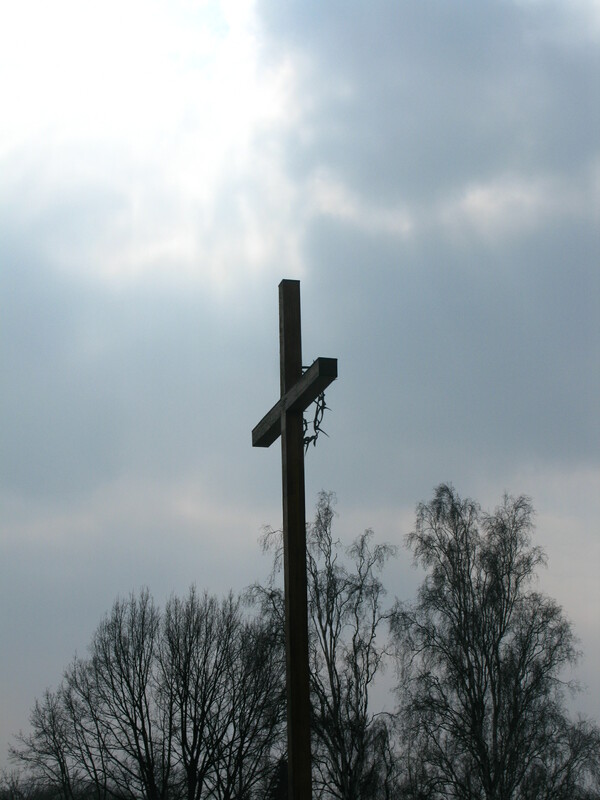 Since becoming aware of the Holocaust, and the attendant suffering of the peoples of subdugated Europe, I have been aware of an underlying sense of deep unease, that I should have been so happy and relatively carefree, while other children of my age, and their parents, were enduring the most appalling suffering. I realise that this deep sense of unease, is in some way pointless, yet I am glad of it, for it also brings an awareness of so much suffering that continues around the world to this day. Not again that one can necessarily do much to alleviate that, but it does bring home a sense of this world being inhabitated by one family, a family that I am very much part of. That ‘underlying sense of deep unease’ describes it perfectly Caroline. And I wonder where it comes from. As a child,I remember the fact that I had food on my plate being intrinsically linked to the lack of food on the plates of the poor black babies in Africa. I doubt there was a child in Ireland in the 1970s who wasn’t tempted to box up their dinners and mail them to somewhere in the Sahara. This hammering home of ‘there but for the grace of God go you’ must have buried itself deep into my psyche because it’s slowly replaced that sense of unease. As I was told once in India – my next life could be completely different; my challenge is to make the most of what I have in this one. Interesting take on perception………when I have spoken to young people about the Holocaust (young people who support the Palestinian cause and cannot understand why Israeli’s will do whatever it takes to ensure that their homeland survives) it came as a shock to me to realise that they think of the Holocaust as something from the depths of history…….like the crusades, Vlad the impaler, Genghis Khan or the Black Death. To them todays world is a very different place, they appear to have little understanding that civilisation is a very, very thin veneer that is easily cracked allowing such atrocities to reoccur……….unfortunately few of them will visit and learn from the places you have described in your recent blogs. It came as a huge shock to me when in Vilnius to hear that the last partisan came out of the forest when I was about 16… and I never had an inkling of what was happening there. History is written by the victor is very true! Could you please tell me if you have any background on what it means when (like in your photo) there is that star on the birth and a cross on the death?? I just found out my great grandmother was Jewish and it was covered up… we have a photo of her brother’s grave in Germany (I don’t know exactly were, I am trying to find it) and there is a regular Star of David on the Birth and a cross on the death. The grave next to his appears to have the same different style 6-pointed star style as the grave in your pic! What do you think??? Hi Krista… from what I understand the star is to signify birth, and the cross, death. Nothing more. And I reckon that the six points in the star are what matter, not the shape of it. Could well have been to do with the ability of the engraver.